The cherry blossoms were at their peak as I went for a stroll around the tidal basin on Sunday morning. The blossoms frame the Jefferson Memorial in the background. This entry was posted on Sunday, April 13th, 2014 at 10:58 PM. 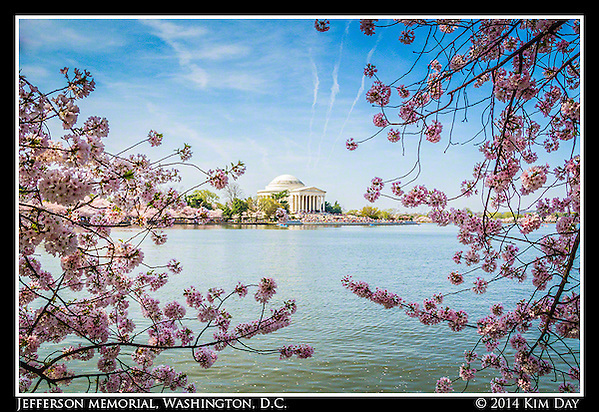 It is filed under Photo Of The Week and tagged with 2014 Cherry Blossom Festival, Cherry Blossoms, Jefferson Memorial, Tidal Basin, Washington DC. You can follow any responses to this entry through the RSS 2.0 feed.